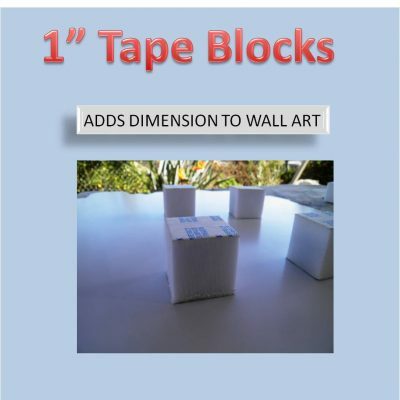 Apartment Tape1/32″ x 3″ x 3″. 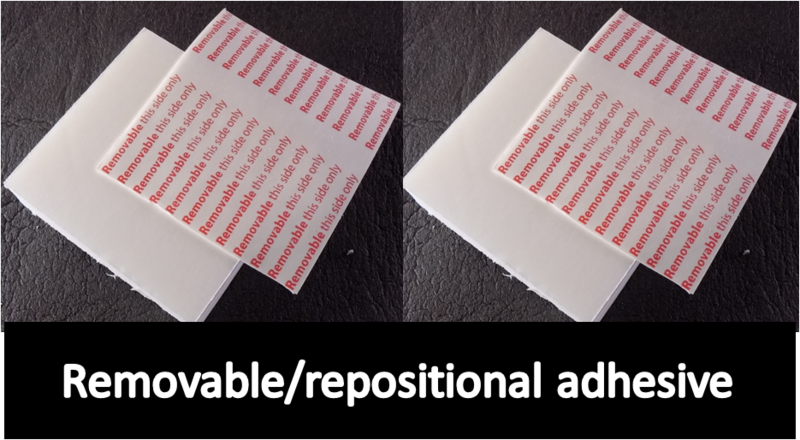 Removable adhesive. Package of 8 pads. 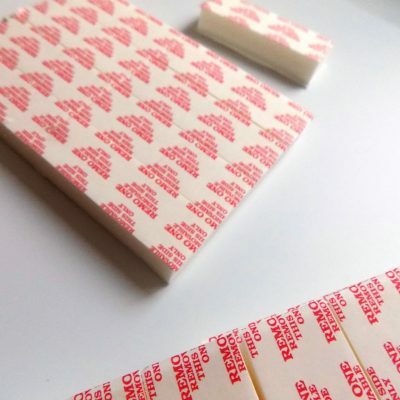 Apartment Tape features a removable adhesive on one side and permanent on the other. 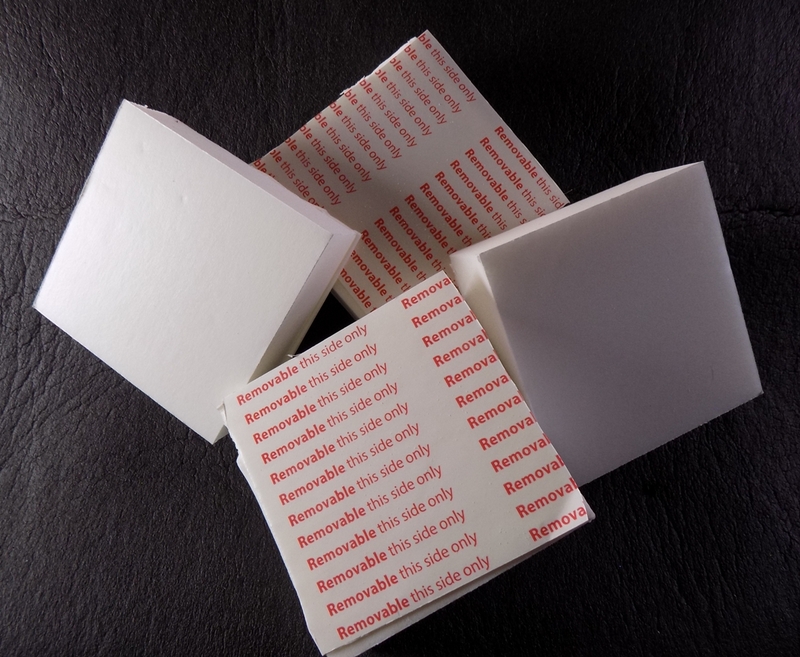 The thin foam pads, 1/32″ x 3″ x 3″, is sized to go over the 1″ x 3″x3″ tape blocks used for Photo Paint Palettes. 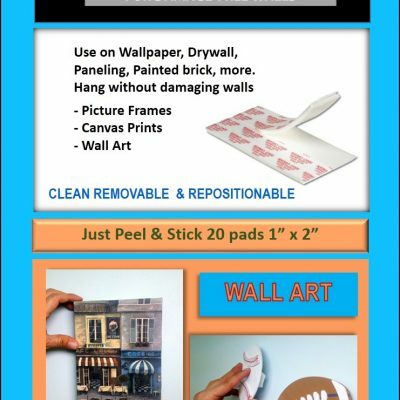 The permanent side applied to foam block and the removable side intended to go on the wall, to reposition or remove cleanly from the wall. 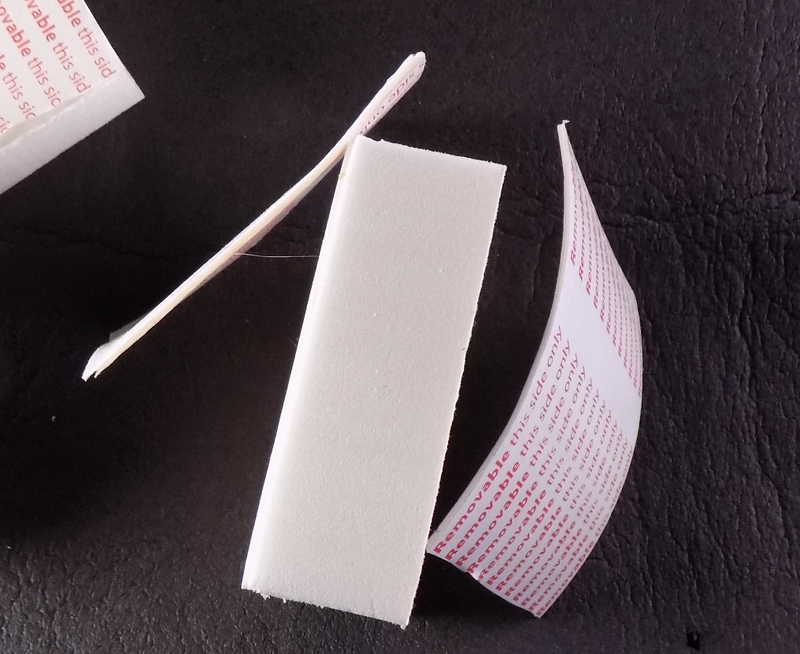 Apartment Tape (removable) 3" x 3"